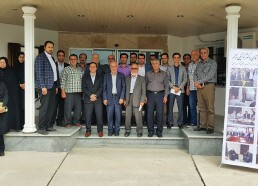 The Regional Rice Research and Training Centre for Central West Asia (RRRTC-CWA) was established in Rasht, Iran, 2010. 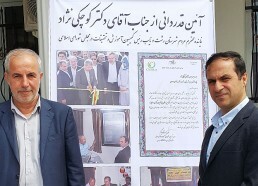 Through the efforts of this center and by official agreement between the Agricultural Research, Education and Extension organization, International Rice Research Institute (IRRI) the I. R. Iran Ministry of Foreign Affairs, national and provincial Authorities, IRRI office was established and officially inaugurated on 3rd July, 2013 in Rasht, Iran. 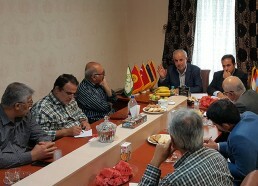 Gratitude Ceremony for sincere efforts of Mr. Kouchki Nejad to achieve financial independence of CWARice held on Saturday 15 July, 2017, CWARice, Rasht, Iran. 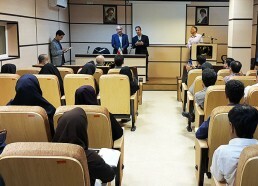 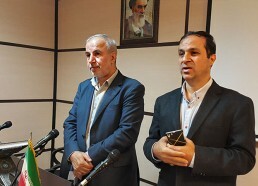 At an official ceremony with the presence of all researchers and authorities of Rice Research Institute of Iran (RRII), Dr. Shahdi, head of CWRice read vote of thanks to Mr. Kouchaki Nejad and emphasized on his great efforts and collaboration as a successful parliament member of Iran for establishing and stability of its operations in CWA region.